ID: 41 ~ Source: University Archives Photograph Collection, UA 8. ~ Creator: College of William and Mary. 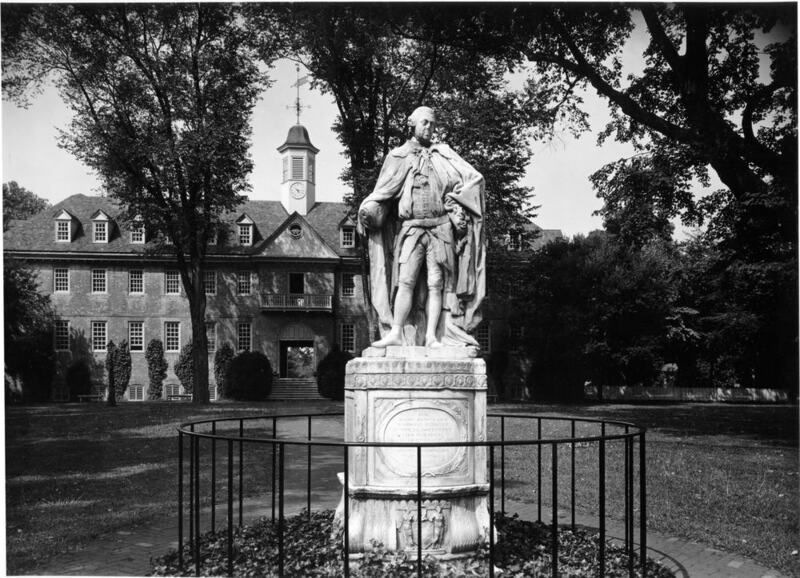 A close-up of the front of the original Lord Botetourt statue surrounded by a fence taken in September 1957 in the Wren Yard.